On May 26, 1995, Allen Pitts pulled up to the border at Sweetgrass, Mont., to cross into Canada and follow up on the most successful season ever by a CFL receiver. 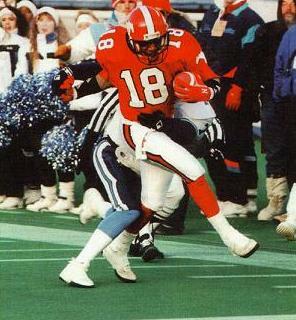 Teaming with league MVP Doug Flutie, Pitts caught 126 passes for 2,036 yards and 21 touchdowns in 1994, all CFL records. But before he could enter Canada, U.S. border agents searched his car and discovered a stash of anabolic steroids, both pills and liquids, 25 containers in all. Pitts, who has since been voted one of the league’s top-50 all-time players, eventually pleaded no contest to drug charges. In the court of public opinion, he maintained he only dabbled in steroids to speed recovery from off-season knee surgery. He found forgiveness on the field and, in 1995, he earned another all-star berth. Still, his arrest was another body blow to the public image of a league which previously had dealt with drug problems. Earlier commissioners had promised to implement drug testing and, after this latest incident, then-commissioner John Tory vowed to institute league-wide drug testing. Yet 13 years later, we’re still waiting. As the Grey Cup approaches, the CFL remains the only major pro sports league in North America that doesn’t test players for drugs. Both the league and the players’ union say the situation will change, with each side recognizing drug testing will help the league’s image, the players’ health and the overall sense of fair play. But no one can say for sure how soon anything will happen. Over the past two decades, pro leagues around the world have moved decisively – if sometimes reluctantly – to monitor drug use. In the spring of 1987, NFL commissioner Pete Rozelle tried to implement drug testing, and opposition from the players’ union led to a strike later that year. Eventually, though, the league and the union agreed on a policy, and now the league randomly tests players from every team every week. Major League Baseball faced similar opposition, even as players like Ken Caminiti, Mark McGwire and Barry Bonds led a steroid-fuelled assault on the game’s record books, starting in the late 1990s. In 2005, the league and union finally settled on a testing program that imposes suspensions ranging from 50 games to life for players caught using performance-enhancing drugs.But even as drug issues surface and other leagues have toughened their own policies, the CFL remains without one. CFL Players Association president Stu Laird and league commissioner Mark Cohon cite a number of reasons, primarily money and stability. Cohon says in the mid-’90s, drug testing was big news but a low priority as the league grappled with expansion to the U.S. and unstable ownership. Both men also point out that comprehensive drug policies – not just testing but rehab and education – are expensive, and admit the CFL and its union haven’t always had a lot of cash on hand. If there’s an advantage to the CFL’s late entry into the drug testing game, it’s that the union now has a clearer picture of the kind of policy it wants. Cohon and Laird agree that the Canadian university-style policy that suspends players for flunking tests but doesn’t assist them in getting help wouldn’t work in the CFL. “We don’t want a witch hunt,” Cohon says. Instead, both sides favour a policy that emphasizes punishment and treatment equally. The Canadian Centre for Ethics in Sport oversees drug testing in Canadian amateur sports, including university football. Spokesperson Rosemary Pittfield says the cost of drug tests varies widely, and though she hesitates to pinpoint a cost, she offers a rough estimate of $500 per test. Add in the drug education and rehabilitation the CFL is seeking, and costs multiply quickly. Money is not a problem in the NFL, where the league generated $7 billion (U.S.) in revenue last season, and where the union collects dues from a membership whose median salary nears $800,000. Obviously, the CFL doesn’t have that type of cash flow. 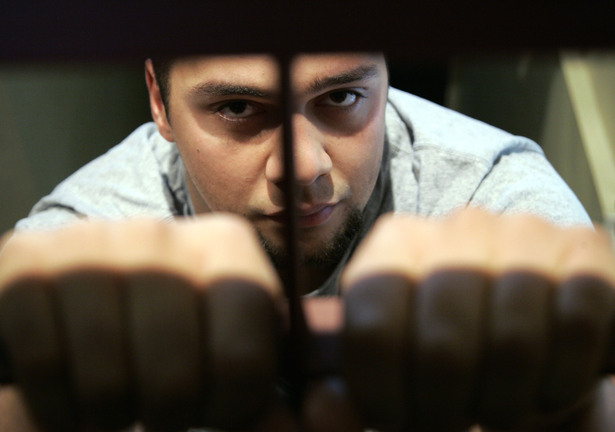 So if a CFL player needed an extended stay in drug treatment, who would assume the cost – the league or the union? The line of CFL commissioners who have promised to introduce drug testing stretches back more than 20 years. In 1986, commissioner Doug Mitchell declared the CFL didn’t “want anyone associated with illegal drugs to be part of our league,” after Edmonton Eskimo Hec Pothier pleaded guilty to possession of hashish. Two years later, Mitchell predicted the CFL would have drug testing in place by 1989. In 1991, another commissioner, Donald Crump, called for a drug policy after Ottawa Rough Riders lineman Glenn Kulka was arrested on narcotics charges. Two summers ago, the Argonauts fielded three players (receiver R. Jay Soward, lineman Bernard Williams and tailback Ricky Williams) who had at least one positive test while playing in the NFL. But how big a problem is drug use in the CFL right now? Cohon says he has “no evidence” players are using either performance-enhancing or recreational drugs. And without testing, the CFL relies on players to monitor themselves and each other. Players’ health insurance provides a small stipend for treatment, but confidentiality agreements prevent Laird from learning how many players are using it. Still, a look at other leagues suggests drug use is an ongoing issue. Currently, eight NFL players face suspension after positive tests for either steroids or diuretics. Last season, New England Patriots All-Pro safety Rodney Harrison was one of four players and a coach suspended for receiving HGH shipments. A 2005 survey found that 3.9 per cent of NCAA football players admitted to taking amphetamines, while 2.4 per cent said they had taken cocaine and 2.3 per cent admitted to using steroids. In Canadian Interuniversity Sport, which has tested for steroids and other drugs since the early 1990s, five players tested positive for drugs last year. Two players tested positive for marijuana, one for cocaine, one for steroids and another for Tamoxifen, a breast cancer drug known to combat the side-effects of steroids. Of those players, only one – former Concordia Stinger Adrian Davis – landed on a CFL roster this season, with the Argos. In the moments after Concordia’s 35-19 loss at Sherbrooke last October, Davis was lining up for the post-game handshake when he felt a tap on his shoulder pads. He turned and saw a representative from the Canadian Centre for Ethics in Sport, the organization that oversees anti-doping programs in Canadian amateur sport. The man informed Davis he would have to provide a urine sample before he left the stadium. Davis knew his CIS career was over. A 6-foot-4, 290-pound defensive tackle, Davis says he began hanging out with a new group of friends in his final year of university, the kind of hangers-on and enablers who often gravitate to successful athletes. Davis says these friends were into partying and drugs, which they offered to him. He said he only tried cocaine a few times, including a few days before the Sherbrooke game last fall. After giving his urine sample, Davis was so sure he would test positive he didn’t even wait for the result. Afterward, he met with his coaches, warned them he would flunk the test, and decided to sit out the rest of the season while seeking drug counselling. Like all sport organizations receiving money from the federal government, CIS is part of the Canadian Anti-Doping Program. To maintain funding, CIS subjects its athletes to the same policy that governs Olympic athletes: year-round, unannounced testing and sanctions for steroids and cocaine. In return, the CCES handles all drug tests and taxpayers cover the costs. When Davis’s sample came back positive, he received the mandatory penalty, an automatic two-year ban from CIS competition. By then, he had attracted interest from the Argos, who were aware of the positive test when they signed him as a free agent last spring. Davis, who says he hasn’t used drugs since the failed test, said the Argos repeatedly offered to find him treatment if he needed it. But he says he got no such help from the CIS. “In the end, you’re not solving the problem,” said the 26-year-old Davis. Pittfield says the publicly funded drug policy is designed simply to detect users and deter others from using. Rehab and counselling are frills taxpayers can’t afford. “Unfortunately, there just aren’t enough funds to go around for all our athletes to enter into treatment programs,” Pittfield said. Cohon says he is committed to testing and hopes to have a policy in place soon. He realizes CFL commissioners have been saying similar things for years but insists several factors – including stable ownership and an improved TV deal – will ensure a different result during his tenure. But the timetable remains ambiguous. The collective bargaining agreement expires at the end of the 2009 season, and Laird says drug testing is just one of several issues the union hopes to address in the next contract. But before negotiations begin, he says he’ll poll players to find out just how eager they are to have a drug policy. Cohon says he’d like to see it in place by 2010, but admits there are no guarantees.